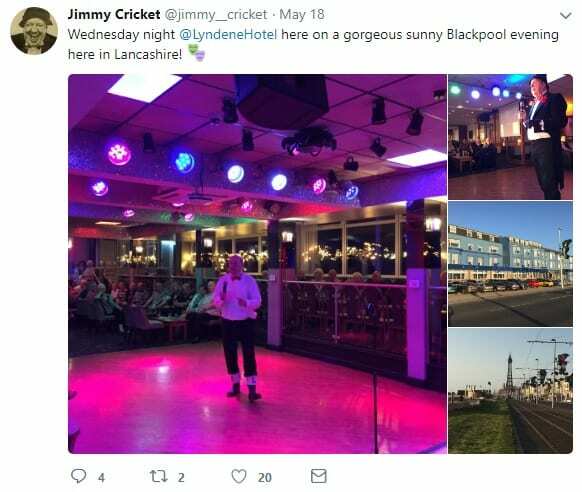 Jimmy Cricket has been performing again at the popular Lyndene Hotel in Blackpool – and appreciating the recent fine weather. 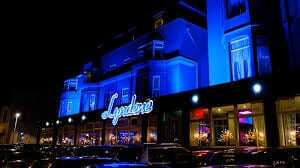 Much-loved Northern Irish comedian Jimmy, 72, has done shows regularly over the past few years at the hotel on the Promenade. Jimmy will be next be performing there on Saturday 26 May and Wednesday 30 May.